The deadline for 2018 road tax payments is June 30 this year. The finance ministry warned that those failing to pay by the deadline would be fined 40 percent of their obligated road tax rates. The government is piloting the Lao National Single Window (LNSW) scheme at international border crossings, seeking to speed up customs clearance for vehicles and link the country to the Asean single window system. Lao citizens and foreigners who are permanently resident in Laos will no longer need to fill in an immigration form when leaving or entering the country via international airports in Vientiane, LuangPrabang, Savannakhet, and Pakxe. 03/04/2018 03/04/2018 J&C Admin 1045 Views LTD, speed cameras Laos, Win Win Net Corporation Co.
Vientiane Police Headquarters plan to install speed cameras on major roads in the capital in a bid to reduce driving offences and the number of traffic accidents. Thai Airways International has banned passengers with over 56-inch waistline and passengers with kids on their laps from Business Class seating on its Boeing 787-9 Dreamliner. There are plenty of stories about bad police planting evidence or fake police shaking down the innocent. What to do if someone claiming to be a police officer wants to search your person or belongings? It remains a jewel of French colonial architecture, you can savor some of the best croissants and baguettes east of Paris here, and even toddlers still learn the language of their bygone rulers. Luang Prabang, tucked into a river valley in the heart of Laos, survives as one of the last bastions of the old French Indochina. The government is planning to build an international airport at the former Xeno airfield in Savannakhet province, which has lain unused for many decades. The airport would serve the region and accommodate the growth of foreign investment and tourism in the area. Vientiane Bus Enterprise launched its commercial operations for the new shuttle bus service to Wattay Airport. The shuttle bus service will be available between Central Bus Station at Talat Sao and Wattay International Airport. Will Costs Continue To Cage Laos’ Regional Connectivity? Laos is among the fastest growing economies in Southeast Asia: economic growth has averaged 7.8 per cent over the past decade. Despite the slow recovery of the global economy, the country’s growth rate was 6.9 per cent in 2017 and is expected to be 7 per cent in 2018. This is buoyed by an expansion in electricity production, manufacturing and agriculture, and it occurs despite a slight drop in tourist arrivals. Vientiane authorities are seeking entrepreneurs to invest in and build the planned 15-km expressway linking the city to its north-eastern outskirts in Xaythany district. Thailand plans to collect so-called “Asean road tolls” from foreign motorists entering the country via border checkpoints from the end of next year. A new daily bus service has begun between Nan and Luang Prabang in Laos, via Xayaburi. The 373-kilometre-long trip takes about 10 hours and tickets cost 660 baht. As in any other country, all vehicles in Laos have to undergo regular inspection to ensure that it conforms to regulations governing safety. Inspections are required every year with the exception for new cars who are good for the first two years. Road users are now being asked to pay the road tax for 2017 after delays in making changes to the payment system have extended almost to the end of the year. The Commuter Line and Airport Line under the Vientiane State Bus Enterprise (VSBE), forming a new division called City 2, are expected to open for public use within this year, while the Community Line is expected to start operation in early 2018. The road between Kasy district in Vientiane province and Nan district in Luang Prabang province is likely to remain in poor condition in the wake of several landslides, as local authorities still haven’t made plans for repairs. China Southern Airlines has officially launched a direct flight from Lao capital Vientiane to Guangzhou as part of a scheme to support China’s Belt and Road Initiative. When traveling in Thailand and your car breaks down, you run out of gas or you’re locked out, AXA Roadside Assistance helps make it simple and easy to get back on the road and on your way. This unique service is part of our new auto-insurance policy for Thailand, only available at J&C Services. The President of Laos, Mr Bounnhang Vorlachit, in an official announcement has informed today about the Road Tax fees for 2018. Authorities are preparing to promote “Visit Laos Year 2018” with the aim of making this sector a key pillar for economic growth. For foreigners, driving in Laos can be very different to driving in their home country. Motorbike riders frequently drive on the wrong side of the road and cars do not always respect Lao road rules. Those new to the country will need to take great care to avoid accidents. Lao Airlines has announced it will inaugurate direct flight to Japan’s Tokyo Narita International Airport soon to handle the growing need for air transport between the two countries. The exact date for the inauguration and ticket prices are still unknown, but details will be .. In the first five months of 2017, the number of newly registered vehicles in Vientiane Capital increased by 23,800 units. Lao Airlines shares for sale ? Lao government says it is ready to recruit new stakeholders for Lao Airlines as part of its efforts to overhaul state-owned enterprises. The ‘Vientiane People’s Road Fund’ is sparking strong concerns and expressions of annoyance from members of the public fearing they’ll be hit in the hip pocket if it comes into effect next year. Authorities have found that many petrol stations in the capital and Savannakhet and Champassak provinces cheated their consumers by not providing sufficient amounts of fuel. Construction of the Laos-Thailand railway extension linking the existing outer suburban station to central Vientiane is expected to begin at year’s end or early next year after the project was suspended in 2011. Vientiane Public Works and Transport Department has plans to move the current bus station in Nongchan village, Sisattanak district near the Morning Market to a new site at Lao-ITECC. Authorities will enforce the ban on motorcycles over 250 cc for general use and their import into Laos. Drivers in Vientiane can wait a little longer before traffic police start fining them for not wearing a seatbelt, as police say more adjustments are needed to refine the relevant legislation. LINFOX has today become the first foreign logistics company to operate in Laos with the signing of a joint venture with the Lao Logistics Group in Vientiane. Ahead of the Songkran Festival, all vans operating across the Thai-Lao Friendship Bridge in Nong Khai have been improved to meet safety requirements. In compliance with traffic regulations being imposed during the Songkran holiday period, van operators providing services across the First Thai-Lao Friendship Bridge have made necessary adjustments to their…..
Thai police have announced that strict road safety measures will be in place from today. The regulations refer to seatbelt wearing by drivers and passengers and the practice of travelling in the flat bed of pick-ups. Drivers and passengers will face fines from …. Too many drivers seem to believe that seatbelts are an unnecessary option on this side of the Mekong, but it may be time to think again as Vientiane traffic police gear up to enforce safety regulations and fine rule breakers 70,000 kip. Traffic police plan to fine drivers and passengers not wearing seatbelts in order to reduce fatalities and serious injuries from …. Cambodia, Laos, Myanmar, Vietnam and Thailand, the new drivers for Asean and Asian economic growth, should come up with a joint master plan for connectivity and key infrastructure development to strengthen the region’s competitiveness, says Deputy Prime Minister Somkid Jatusripitak. The boring of tunnels for the Laos-China railway is expected to begin in the next few weeks following a groundbreaking ceremony to kick off construction of the project in December last year. The tunnel entrances have been earmarked and concreted in preparation for boring, the …. There have been almost 9,000 newly registered vehicles in the first two months of this year thanks to ongoing socio-economic growth. The Vientiane Public Works and Transport Department disclosed this week that in only two months from January to February, there were 8,972 newly registered vehicles bringing the total number of newly registered vehicles in Vientiane Capital to …. Director of the Department of Civil Aviation (DCA) Mr Vanpheng Chanthaphone and Vice President of the Swiss NGO PACTEC International Mr Gerald Bourgeois last month gave the first professional pilots trained in Laos their wings. The six students – including one young woman – started their training at the Civil Aviation Flight Training Centre (CAFTC) in Vientiane in …. The Vientiane International Airport Expansion Project has now achieved 11 percent of its contractual goals and should be complete by the beginning of 2018. The project is being financed by a concessional loan from the Japanese government of about 9 billion Japanese yen. The expansion will enlarge the existing passenger service facilities to deal with the increasing demand for …..
Travellers are warned to not travel overland from Vang Viang to Luang Prabang as a safety precaution, according to the latest Smartraveller advisory issued by the Australian government, Monday. The Australian advisory did not elaborate other than to say it was recommending travellers avoid overland travel on highway 13 beyond Vang Vieng. However, a recent Canadian travel advisory advices travellers to …. Phase II of the Laos-Thailand railway, which will see the line extended from the suburbs to central Vientiane, is set to resume after the project was suspended in 2011. The line will be built over a distance of 7.5km to link the track from the outlying Thanalaeng railway station in Hadxaifong district to the inner city. The extension will link Thanalaeng railway station on the …..
Prime Minister Thongloun Sisoulith will officially launch the start of construction for the Laos-China railway project at a ceremony on December 25.The ceremony to kick off railway construction will take place in Luang Prabang district’s Phonxay village where a railway bridge spanning the Mekong River will …. Thailand’s new and possibly fanciest regular train service can now be booked for overnight trips from Nong Khai to Bangkok. Equipped with new carriages featuring improved decor and facilities, the Special Express Train routes links the capital with Nong Khai, starting Dec. 2. Tickets are now on sale, prices range from 700 baht to …. SilkAir, the regional wing of Singapore Airlines, today launched its inaugural flight to Vientiane and Luang Prabang, Laos. With this launch, SilkAir’s route network now spans 51 destinations in 14 countries. The inaugural flight departed this afternoon at 1.20pm from Changi Airport and is expected to arrive at Vientiane’s Wattay International Airport at 3.15pm. It will then depart at 4.05pm for Luang Prabang International Airport, and is expected to arrive at ….. The Ministry of Industry and Commerce on Tuesday announced that fuel prices would rise across the country as from yesterday. In Vientiane the cost of premium grade petrol will rise from 8,350 kip to 8,500 a litre, regular petrol will increase in price from 7,350 kip to …..
Thai airlines will soon be allowed to operate more flights to Vientiane, Laos, according to the Thai-Lao accord approved by the Cabinet on Tuesday. The quota is raised from 2,100 seats to 14,500 for the flights from Bangkok to Vientiane. Meanwhile, from Vientiane to Bangkok, the quota is ….. The Vientiane Traffic Police Department and local officials are issuing a joint warning to the drivers of tuk-tuks and pickup trucks who regularly ferry schoolchildren to and from classes each day at secondary schools in Naxaithong district. Children’s parents expressed serious concern after seeing a photo of a large group of students piled onto a school taxi-truck on ….. The Vientiane authorities have agreed to reinstate the old traffic rules for turning right at traffic lights nationwide. Motorists are now allowed to turn right on a red light signal unless such a turn is expressly forbidden by signage but they are urged to exercise caution in doing so. For almost four months, the Vientiane authorities introduced a …. Over 20 hit-and-run cases in Vientiane so far this year and many people have been injured or killed as a result, according to the Vientiane Traffic Police Department under the Ministry of Public Security. There have been 23 reported hit-and-run cases in Vientiane so far this year and police have made …. Traffic police will out in force ensuring roads run smoothly ahead of the arrival of high ranking regional delegations attending Asean Summits next month in Vientiane, according to a leading official. The relocation of the southern bus station in Vientiane to a new site is set to begin this month, with the process expected to be completed by September, according to an official. The site of the new bus station on the 450 Year Road in Saphanmeuk village, Xaythany district is about 700 m from the present one. The construction of the new station is ….. The state enterprise showed off the new trains at its …. The prices of vehicles in Laos remain high even though import tariffs on many products including vehicles have been reduced to five percent, much to the disappointment of recent purchasers. Deputy Director of the Foreign Trade Policy Department, Mr Saysana Sayakone told Vientiane Times recently that the prices of vehicles will remain rather high as buyers still have to pay consumer tax. 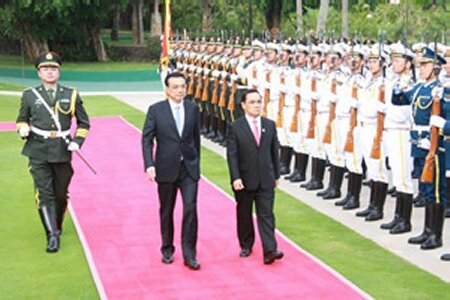 He explained that the Lao PDR had begun to reduce …..
For the southwestern city of Kunming, China’s plan to extend a high-speed rail link 3,000 km (1,875 miles) south to Singapore is already a boon: pristine expressways, a gleaming station and something of a real estate boom, as young buyers crowd property showrooms. As of yesterday, according to this report of the Lao National TV, it’s forbidden to take a right turn on a red traffic light, unless there is an additional green arrow light (apart from the main signal light) present and flashing. Not following this rule will result in fines of ….. The Department of Public Works and Transport expects the number of vehicle imports to Laos to continue to grow at around 10 per cent even though numbers have slowed somewhat in the first three months of …. Thai AirAsia is planning to expand service to Laos, followed by the service launch of Luang Prabang last month. Based on the airline’s schedule listing on its website, the airline plans to operate Bangkok Don Mueang – Vientiane route on daily basis, effective ….. In line with government plans and the standards established by the International Civil Aviation Organisation (ICAO), Laos is planning to update air traffic services in many respects. Foreign tourists will be banned from driving motorcycles and motor homes into Thailand as part of measures to control an influx of foreign vehicles onto Thai roads, particularly in the North. The order will also prohibit people who have not made prior agreements on car usage abroad from driving cars into Thailand from China, Myanmar, …….. The Laotian government has issued an urgent order for officials to get stricter on foreigners entering the country. Everyone entering Laos from tomorrow must have complete documents, said a source at the 1st Thai-Lao Friendship Bridge border checkpoint om March 5th. The move followed several recent incidents of armed robbers assaulting and killing people and the …. The transport ministry will conduct the feasibility study of a 550km-long railway line, linking Laos’ Vientiane to Vung Ang in Ha Tinh, Viet Nam, from December 2015 to December 2017. The study will be divided into three phases, comprising a six-month survey of the project, a one-year …. Four Korean tourists and a Lao driver were killed after a bus and a minivan were involved in a fatal collision in Thongmeuad village, Kasy district, Vientiane province on Sunday while another 24 people sustained injures. 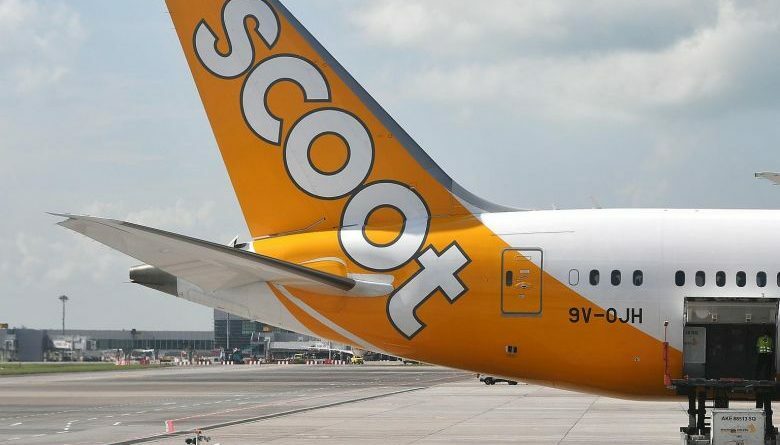 The four Korean tourists and the van driver all …..
Asean’s ambitious open-skies scheme has clearly missed the 2015 year-end deadline, and its full implementation appears elusive. Three members of the 10-nation bloc — Indonesia, the Philippines and Laos — seem reluctant to join the scheme for full liberalisation of Southeast Asia’s aviation sector…..
Vientiane’s three rescue teams have reported on the number of road accidents they attended, and the fatality figures, from January 1 to December 29, 2015. Combined figures showed that 270 people lost their lives in the capital for the year up to and including December 29. The three teams serving the public will …..
A BACKPACKING couple on a once in a lifetime trip in Asia have relived the moment they escaped a fatal bus crash. Sean Martin, 26, and Gemma Sanderson, 27, said they were still suffering flashbacks after their sleeper bus crashed and flipped onto its roof as it travelled through Laos. The couple, of Rishton, packed up their lives in October to fulfil a dream of travelling Asia for six months. But as they were travelling between Pakse and Vientiane the bus overturned killing …..
Long Cheng is a site which has long been hidden from public view, tucked behind a mountain fortress and guarded by security for the last 50 years. Now that’s changing, and we’ve already been up to take a look around what has been known for decades as “The Most Secret …. Officials are wrestling with the problem of identifying a long-term solution to Vientiane’s chronic traffic jams and some are suggesting that an overpass might ease the situation. Mittaphab Hospital is struggling to cope with a dramatic surge in demand for orthopaedic surgery caused by increasing numbers of road accident victims seeking treatment. Four people were killed and six others sustained critical injuries in road accidents in the capital over the two-day period from September 9-10. According to the Vientiane Traffic Police Department, a pick-up truck carrying 17 students overturned on Thursday morning in Donnoun village, Xaythany district, killing two passengers and seriously injuring six others. Other passengers were also injured in the accident. Police said the driver …..
All buses are now operating out of two temporary stations to pave the way for the construction of a new 12-storey building to house the inner city bus station near the Morning Market in central Vientiane. However, the relocation to an area near the existing site has led to traffic congestion in the area, causing members of the public to complain about the new arrangements. Tuk-tuks must also be relocated as part of efforts to minimise the ….. The UNESCO World Heritage town Luang Prabang this week officially launched its E-Bus Project along with an electric vehicle station. The E-bus Project currently involves over 30 electric buses including 14 buses provided as a grant from the Japanese government and around 20 buses operated by the Lao Green Company. The buses will be driven along ….. The development is likely to include a ….. The retail prices of fuel at petrol stations around the country dropped for a second time this month. The petrol prices dropped around 60 kip per litre and the diesel prices went down by about 140 kip per litre, which will be good news for general consumers and farmers now in the rice planting season. In Vientiane, petrol stations are now selling premium petrol for 9,430 kip a litre, regular grade petrol for…..
Laos and China will jointly build a bridge linking the Southeast Asian nation with northeastern Thailand as part of a U.S. $7.2 billion high-speed railway project that has been delayed by numerous setbacks for more than four years, a Lao government official said. Officials from both sides agreed to construct the bridge over the Mekong River to link Laos with Thailand’s Nong Khai province during a meeting in which they resolved to build the much-delayed rail line from Kunming in south China’s Yunnan province to the Lao capital Vientiane. The decision was made when a Lao delegation led by ….. The number of registered vehicles in Vientiane has increased by over 31,000 units in the first six months of this year, or an average of 5,000 units per month, a local newspaper reported on Monday. The number increased by an average of 5,000 units per month. It has been observed that the number of passenger vehicles in the city has increased constantly when compared to the same period last year. When compared to the over 850,000 people living in the city, it means over three out of every four people, including men, women, and …..
Google Maps now offers 360 degree views of streets which form top attractions in the Lao capital for locals and tourists alike. The new imagery allows users in Laos and around the world to view and navigate through 360-degrees of street-level imagery in the country’s capital city. The Public Health Ministry yesterday announced the first MERS case in Thailand after laboratory tests confirmed that a foreign visitor had contracted the deadly virus,. The patient was understood to have contracted Middle East Respiratory Syndrome in a foreign country, before arriving in Thailand, where he was diagnosed. The patient, a 75-year-old man from an Arab country, has reportedly had contact with up to 59 people since arriving on Monday. He was also undergoing treatment for …. More than 10 larger capacity motorbikes with unpaid taxes have been seized following an inspection that began last week in a move to regulate the issue, tax officials have said. According to the regulations, bikes whose engines exceed 250cc are not allowed to be imported into Laos but in reality many can be seen on the roads. The Vientiane Public Works and Transport Department is trialing a one-way road scheme in a bid to ease traffic congestion on one of the busiest sections of Fa Ngum Road, which runs alongside the Mekong River in the Sithan-neua area. The one-way section begins at the T-junction in front of the Mercure hotel on Souphanouvong Road and runs eastwards along Fa Ngum Road to the T-junction at Pakpasak College, over a distance of ….. The Public Works and Transport Department, traffic police and the Vientiane Urban Development Administration Authority are cracking down on illegal parking in order to address traffic congestion in Vientiane. The new initiative outlawing double-parking began on June 2 and is also focusing on eliminating unofficial parking concessions in this area. In particular, authorities announced they are targeting the section of Nongbone Road from the bus station to the traffic lights at …..
Lao President Choummaly Sayasone and Vietnamese President Truong Tan Sang opened the new Attapeu International Airport on Saturday in a bid to promote trade, investment and tourism. Speaking at the opening ceremony, President Choummaly said the new airport was part of government efforts to develop transport and communications infrastructure in Laos. “This airport is a significant project in spurring socio-economic development, attracting investment and boosting …. The bodies of six of the 10 schoolchildren who were feared drowned after a makeshift ferry capsized in the Nam Ngum on Tuesday have been recovered by rescue teams from Laos and Thailand. The children, aged 10-12, were pupils at local primary schools. Rescue teams have been scouring the river in search of the missing youngsters after the boat capsized in Pakngum district, Vientiane. The teams resumed their search yesterday morning but were hampered by strong currents. They eventually found the body of …. Eight girls and two boys were missing yesterday after a small ferry consisting of two wooden longboats capsized while crossing the Nam Ngum river in Pakngum district, Vientiane. The missing children were primary school pupils from Nabong village who cannot swim well and were crossing the river to take their final year exams at a school in Thakokhai village. Vientiane authorities will upgrade roads in the city centre as part of preparations for Laos’ hosting of the Asean Summit next year. The upgrade will be funded through a loan from China amounting to 60 million yuan (about 78.73 billion kip). Under the project, a 2km section of road between the Dongdok and Tanmixay traffic lights will be resurfaced with concrete and widened to 22 metres, with the work contracted to a Chinese company. The project is currently at the design and …..
Police officers have responded to public complaints that they are not out on the streets at night to stop youths from racing motorbikes and disturbing the peace in central Vientiane. Chief of the Commando Security Team at the Vientiane Police Headquarters, Lieutenant Colonel Khamphiew Vatthanaphone, said yesterday they wanted the public to know that they’re working on the problem every day, especially at weekends. “Today we arrested some members of one group but by tomorrow there will be another group making trouble on …..
Road Accident ! And Now What ? Driving on Lao roads is a main area of concern for newcomers as they fear reckless motorbike drivers and anarchic roundabouts. Driving a vehicle is first of all about safety, even after an accident has happened. Vientiane State Bus Enterprise has plans for express nonstop services along three main routes within the city. The planned services will not stop to pick up people en route, meaning that passengers will ride from their departure point all the way without stopping until the bus arrives at its final destination. The three routes are between the main bus station and Dongdok, the bus station and the Lao-Thai Friendship Bridge and from the …..
People in Vientiane are facing a long queue when they go to pay road tax this year as they need to register the vehicle’s information. The new service for paying road tax began in the middle of last month in each District Finance Office in the city plus a road tax centre in Naxay village of Xaysetha district. “Many people are complaining about the long queues as last year there was much less ….. The Ministry of Finance is informing all vehicle owners that the Road Tax Sticker for 2015 is now available and that it needs to be purchased for all vehicles. The sticker is valid for the calendar year 2015. Further a penalty of 10% per month for purchasing the sticker after 31st May is imposed. In addition J&C Services has been informed that the procedures to purchase the Road Tax Sticker 2015 have changed as following: ….. The government has instructed officials to remove state-owned number plates from private vehicles which previously belonged to the state and car owners must pay customs, tax and other fees. The “dominoes” that Transport Minister Prajin Juntong worried would begin falling over a global safety warning about Thailand’s aviation industry have indeed begun to tumble, with China and South Korea now banning new Thai-registered flights and Singapore imposing strict inspections. The moves by China and South Korea follow a ban by Japan on new flights and aircraft changes by …..
For those new to Laos, heading out in your car for the first time can be a daunting experience. Traffic rules differ to other countries and there are a lot of new driving techniques to learn. Parking can also be very confusing because of special rules and regulations unique to Laos. In Vientiane and other cities there are ….. The Asian Development Bank (ADB) has approved a $35 million loan to help finance a bus rapid transit system and other transport innovations to improve traffic flows in Vientiane, the fast growing capital of the Lao People’s Democratic Republic (Lao PDR). Many manholes and drainage covers can be seen to be missing throughout the capital, putting lives in danger and resulting in damage to motor vehicles. The uncovered manholes are also being used as a dumping ground for household rubbish, which threatens to clog the drains in question when the rainy season arrives. Many women are taking on non-traditional roles as new career opportunities open up for them, showing they are equal to men in terms of ability. One example is a young woman named Ms Phinanong Leusasinh, aged just 19, of Nongping village in Chanthabouly district, Vientiane, who recently made her first solo flight. The solo flight, which is made without an instructor on board, is a milestone in the pilot training course. Last week Ms Phinanong was one of six trainees who took the controls of a …..
A team of 12 elephants will walk about 630 km across the Xayaboury and Luang Prabang provinces, passing through elephant populated areas and cultural sites and disseminating both environmental education material and art performances in towns and villages. Elephants are a source of pride for the Lao people and it is urgent to reactivate the public support for the species. On the road, the caravan will stop daily in villages it crosses. Theater, music and performances will be …. When French paramedic Sebastian Perret witnessed a fatal accident in the Laos capital, Vientiane, in 2010, he was shocked that no ambulance came to help. Every day, four people die in road crashes across Laos, giving the country one of the region’s worst road fatalities per capita in the region. Many more are injured but most cannot afford to pay a government ambulance to help them. Laos has developed four major airports to Asean standards, which will provide linkages or hubs in the region for air transport and transit services, and facilitate regional production networks, trade and investment, and tourism. The government has selected airports in Vientiane and the provinces of Luang Prabang, Savannakhet and Champassak as Asean airports. “These four have been selected because they meet international standards and …..
Petroleum operators expect fuel prices will continue to drop for the next few months after seeing prices go down since the beginning of the year. The government has lowered the prices of premium, regular petrol and diesel in Vientiane and five provinces effective last Friday. “It is the third time for a fuel price reduction this year,” an official of ….. The governments of Lao PDR and Japan signed an Air Service Agreement in Vientiane Capital on 16 January. “This singing is a landmark for civil aviation cooperation between the Lao PDR and Japan,” said Director General of the Civil Aviation Department, Mr Yakua Lopangkao. “It’s a fundamental event for civil aviation cooperation, particularly the opening of direct fights between the two countries in order to facilitate the ….. The number of Lao people killed in road accidents is greater than the figure of those killed by bomb attacks in Pakistan, to make a somewhat bloody comparison. The bomb attacks in Pakistan hit the international headlines daily as innocent lives are lost. Meanwhile here in Laos people are dying every day but their deaths go largely unreported. In Laos it is not bomb attacks taking lives but traffic accidents. In 2013, 873 people were …..
Five people were killed and many more injured in a spate of road accidents over a seven day period in Vientiane recently. According to the Chief of the Vientiane Traffic Police Department from December 15-21 there were 40 road accidents in the capital. The accidents are also getting more serious. Police figures indicate that of the …..
About 90 percent of fatalities arising from road accidents in Laos are among those riding motorbikes, according to traffic police. The figure is hardly surprising given the lack of protection motorbikes offer their riders in comparison to larger vehicles. Those riding motorbikes are also mostly poor people or students who are less likely to …. The driver of a truck trailer has been detained by Champassak provincial police after the vehicle overturned and killed a British tourist in Pakxong district on Tuesday. The truck was carrying a container loaded with timber and was travelling from Xekong province to Pakxe district in Champassak province. The truck was descending a hill near to a crossroads at …..
A total of 175 people died from road accidents in Vientiane during the 2013-14 fiscal year; a major loss of lives when compared to other causes of premature death. The fatality rate from road accidents has sparked rising concerns across society that the government needs to come up with stronger and concrete measures to deal with the problem. According to the report, over 1,470 road accidents took place in Vientiane in the 12 months to September 30 with 175 deaths (of which 38 were …..
Officials from the Vientiane Fire Fighting Department cautioned yesterday that all vehicles, in particular passenger vehicles, should install fire extinguishers to be prepared for possible emergencies. Torrential rain in Vientiane yesterday morning caused traffic chaos on the second day of the new school year as flooded streets and sidewalks caused further delays on the already congested streets. The storm was fairly localised but the rain was so heavy that many of the city’s roads and houses were soon flooded, making the many potholes even more difficult to navigate than usual. Almost 90 people die in road accidents each month in Laos and the figure is rising at an alarming rate so amidst increasing public concern the government needs to enhance its efforts to deal with the issue. In only seven months of this year, a total of 3,390 road accidents were reported in Laos with 599 deaths and 5,657 injured, according to police report this week. The largest number of fatalities was reported in Vientiane with ….. The government has approved the Bus Rapid Transit (BRT) project in a move to improve and speed up the public transport system and mitigate traffic congestion in Vientiane. Construction works are expected to begin in the 2017-18 fiscal year, with completion slated for the end of 2018. Under the project plan, the Vientiane public transport network, also known as the BRT network, will be 84km long and will include …. Residents in Vientiane are suspecting their fellow residents may be the culprits in the spate of thefts of manhole covers which they believe are being sold to scrap metal dealers. Others believe that scrap metal buyers who ride motorcycle-driven carts round the city seeking people’s unwanted bits of metal, could be the problem. So far, nobody can say for sure who is responsible as no theft has actually been observed. Last week a cover on the road in Sokpaluang village in Sisattanak district was stolen, but no one …. The government may re-impose a vehicle quota system as part of efforts to curb the rising number of vehicles in Vientiane. An official told local media recently the government had assigned the ministry to develop concrete measures to cut down the rising number of vehicles in the country, one of the causes of traffic congestion in major cities. The official said that under the quota system, the ministry will be able to ban imports of …. The National Ethnic Cultural Park (NECP) has been transformed and is now called “Inpeng Culture & Entertainment Park” which includes a large water park with beer gardens, restaurants, cafes, souvenir stores and a museum as well as the former Ethnic Cultural Park. Our J&C team spent a fun day at the new water park, which includes many different pools, all of them with different sizes & shapes, and also different depths; there are also pools dedicated to …..
Traffic officials have urged motorists to slow down after a horrible road accident in Savannakhet last weekend which killed two people instantly and left three others seriously injured. The fatal crash happened on Road No. 13 South in Kaenghaed village, Xaybouly district, Savannakhet province on July 21. An official said this was the first time such a horrible accident had occurred in the area. He reported that one of the vehicles was travelling at a very high speed and the driver lost control. “The SUV hit with great force head-on, killing the SUV’s driver and a Vigo passenger instantly and leaving three …..
A significant number of Vientiane residents have expressed their support for an urban sustainable transport system the Ministry of Public Works and Transport is working on. The project aims to establish special Bus Rapid Transit (BRT) lanes along 84 kilometres of Vientiane’s public roads, beginning with the Wattay International Airport to Patuxay route. The Inpeng temple to Nam Phou fountain section of Setthathirath Road will be reallocated for public buses and non-motorised transport only, while François Nginn and Pangkham roads will be ….. The Pakpasak canal between Vat Chan Village and Sihom Village, Chanthabouly District, Vientiane will be developed and covered with a car park in an effort to solve the downtown parking crisis. Parking over the canal will be able to accommodate 200 cars by 2015. This is the second such venture by Ms Thipphaphone, whose company is also constructing the seven floor car parking facility near …. President Choummaly Sayasone, Prime Minister Thongsing Thammavong and other high-ranking officials laid wreaths yesterday to pay their respects to the leaders who passed away from the plane crash on Saturday (May, 17). According to the Ministry of National Defence, the Lao airforce AN-74TK-300 aircraft carrying 17 people on a special flight from Vientiane crashed near Xieng Khuang airport on Saturday morning (around 7am local time). There are three survivors and 14 deceased. A Laotian air force plane with at least 14 people on board crashed on Saturday, a defense ministry source said, and a witness at the site said the defense minister was among the dead. “A Laos air force plane has crashed on its way to Xiang Khouang province in the north of the country. The mayor of Vientiane, the defense minister of Laos and his wife were on board,” the official told Reuters by telephone. Also killed were the governor of …. Road Tax Is Back Again ! Despite previous announcements by the Ministry of Finance that the collection of the road tax has been abolished, J&C Services has just been informed by the authorities that the road tax is back in force again. Vientiane traffic police reported more than 30 road accidents in Vientiane last week, including six fatalities. Among the latest accidents involves a sport car which crashed into an electricity pole and tree at the Setthathirath Road in Xiengngeun village, Vientiane in the early morning of April 27. The 21-year old driver sustained critical wounds and later died in hospital. The passenger also …..
Vientiane, Laos. I descend from my tuk-tuk at the dusty north bus station, needing to get to Luang Prabang. Bad news. The sleeping bus is full, which means I’m in for ten hours of the VIP bus, which in retrospect can be none other than an acronym for Voluntary Imposition of Pain. At least for me it is, as I have a difficult time sleeping on any bus. The ‘sleeping bus,’ however, does sport a large enough berth for you to lay flat and get some rest. VIP not the case, at least for a tall creature like myself. And surprisingly the sleeping bus is only ….. The number of vehicles in Vientiane continues to rise, intensifying congestion on roads in the capital despite the expansion of the road network in the capital. In 2013, the number of registered vehicles reached 66,500, an increase of more than 5,300 vehicles compared to the year 2012. Government officials attributed the rising number of vehicles to several factors, including the country’s …..
Logistic facilities at Thanalaeng Train Station in Vientiane have begun to take shape after eight months of construction, according to a Lao railway official. The Lao Railway Authority’s Railway Management Division Chief, Mr Somsana Rasaphone said recently that the new facilities, which will enable the train station to provide freight services, are now some 23 percent complete. Laos and China have confirmed they will push forward with the Lao-Chinese railway project while the two countries are still looking for an effective method of cooperation that serves their mutual interest. The Lao and Chinese governments have come up with a plan to build the 421km railway, which would link Vientiane to the Laos-China border in the coming years. The Lao side also suggested that China should expand its investment in hydro and lignite power plants as well as provide loans for irrigation development in the central provinces in order to ensure …. More people will choose to ride on public buses in Vientiane if there are designated bus lanes on roads. Transportation on two or four-lane roads in Vientiane is currently open to all general vehicles. However, Vientiane Public Works and Transport department has plans to create bus lanes to allow public transport to cut through traffic congestion. If public transport could operate services more efficiently keeping to bus timetables, especially during rush hours, then many more people would take public buses in preference to cars, decreasing overall traffic. “We have 129 public buses including 42 new Japanese buses and this is enough to cover the roads in …. Vientiane’s Wattay International Airport will expand both its international and domestic terminals so they can handle about 1,000 passengers per hour in 2018. The Vientiane International Airport Terminal Expansion Project is aimed at meeting increased passenger demand. The expansion would see the construction of another two-storey building on a plot measuring almost 2,100 sq metres, which would connect with the present terminal. A new two-storey building will be built to house the …. Lao Skyway, formerly Lao Air, has launched four more flights to Northern provinces Luang Prabang, Bokeo, Oudomxay, and Luangnamtha. The company would operate its new routes with MA-60s, a small plane which can accommodate 56 passengers, providing charter flights at reasonable prices. Lao Skyway said that new flights to the Northern provinces would be available from ….. Car and motorbike owners are no longer required to purchase the annual road tax sticker. J&C Services received this information today from the authorities at the technical inspection outlet. As it’s only a few days this new rule has been introduced, it’s likely that not all police officials are aware of this. J&C Services therefore recommends that …. Quick Lane going for the Quick Buck ? Time to put new ones, but where to get them ? Of course the first place to check is the Toyota dealership between Patuxay and the Vietnamese Embassy. At my first visit Toyota quoted Baht 4’180, which includes ….. The Lao government will now allow the importation of motorcycles with engine capacities of greater than 250 cc’s, lifting a previous ban on the bikes as part of efforts to comply with World Trade Organisation obligations. In the past, the government banned imports of motorcycles with engine capacities of greater than 250cc’s in an effort to prevent criminals utilising high powered bikes to evade arrest by the police. Laos has no more reasons to ban the import of the vehicles since the country became a member of …..
Fuel stations in Laos will soon be required to guarantee the quality of their fuel or face fines or closure, with a specially dedicated fuel testing centre set to be established in the country. The move comes as the owners of luxury vehicles have sought assurances from fuel retailers as to the quality of their fuels, following concerns that some fuel sold in Laos does not meet the required standards. The project, to be jointly implemented by the ministry and the private company, will cost US$1.5 million and will be funded by …. Laos has broken ground on an ambitious high-speed railway project linking the country’s western border with Thailand to Vietnam and is likely to begin full construction this month. A new fleet of public buses will be urgently put into operation with an electronic ticketing system to help control Vientiane’s rising congestion problem. Public buses have the potential to ease the city’s traffic congestion and reduce accidents, the Mayor of Vientiane, Mr Soukanh Mahalath, and representatives of the Ministry of Public Works and Transport agreed at a meeting in Vientiane yesterday. Students at the National University of Laos will be given electronic transit cards to use on their bus route to encourage them to catch public transport and trial the system before it is extended to the rest of …..
THAI Smile, a business unit of Thai Airways International, will start a new four weekly service to Luang Prabang in Laos, 15 December. It pitches the airline in direct competition with Bangkok Airways that was the first international airline to serve the World Heritage town. It flies three daily services to Luang Prabang. Luang Prabang was designated by UNESCO as the “The Best Preserved City in Southeast Asia” and registered as a World Heritage City, due to its anciednt temples and well preserved colonial building and former royal palaces. THAI Smile will operate flights from …..
Avis has signed a deal with RMA Group that will lead to the opening of its first facilities in Luang Prabang, Pakse and Vientiane in Laos, and Phnom Penh and Siam Reap in Cambodia. These will include both airport and city locations. The agreement will make Avis the first international car rental company to operate in either country. “Strengthening our global position remains a high priority as we seek to drive sustained, profitable growth,” said Patric Siniscalchi, Avis Budget’s president for Latin America & Asia Pacific. “Our licensee agreement with RMA Group will allow us to expand our …..
Three people were killed on Road No. 13 South in Khammuan province in the early hours of Wednesday morning after a pick-up truck smashed into a sleeper bus heading from Vientiane to Attapeu. The bus contained 42 passengers; three Chinese nationals, three Vietnamese nationals and 36 Lao people. Two were killed on …..
France’s largest trolleybus network has offered to help Vientiane overcome its traffic congestion and air pollution problems. Trolleybuses run on electricity and draw their power from overhead cabling. Rhône-Lyon Joint Transport Authority President, Mr Bernard Rivalta, met with senior officials from the Ministry of Public Works and Transport and the Mayor of Vientiane to discuss ways Vientiane could learn from France’s experiences with its trolleybus system. He said with the number of people and vehicles in Vientiane rising, the use of public transport should be promoted to ease traffic congestion. “Each year the population is increasing and if you don’t have a ….. The concept of building a toll motorway in Laos is now possible in order to minimize traffic congestion in Vientiane. The Ministry of Public Works and Transport, in cooperation with the World Bank, is currently conducting a survey for the development of motorways, with the results of the survey to be finalized early next year. “Road No.13 will be developed into a toll motorway over a total length of 300 km,”an official said, saying that the first section will begin from the capital city, through Phonhong district to Vangvieng district in Vientiane province. The second section will run from Vientiane through Pakngum district to Borikhamxay province. The Vientiane Administration Office will make further adjustments to traffic flow in the capital after finding that earlier changes have been beneficial. Next on the list is a one-way system on Kaysone Phomvihane Road from the roundabout near the Army Museum to Patuxay, as this road is a major entry route into the city. Road 23 Singha, starting from the traffic lights at the corner of the Ministry of Public Works and Transport through to the Nongbone Road access to That Luang, will be used by southbound traffic. Another change will be made to Chanthakoumman Road, running from …..
POOR countries with low population density tend not to have world-class railway systems. Landlocked Laos, which is squeezed between four countries with extensive rail networks (of varying quality), plans to buck the trend. Last week China and Laos reaffirmed their commitment to make the proposed 260-mile (418-kilometre) passenger and freight railway between Kunming and Vientiane a reality. The project’s price tag is to be nearly as big as Laos’s formal economy: $6.2 billion plus interest. It will take an estimated 50,000 Chinese workers five years to build it. An astonishing two-thirds of the route will run through tunnels and over …..
Traffic chaos ensued yesterday morning at the point where Souphanouvong Avenue funnels into Setthathirath Road in central Vientiane, after Fa Ngum Road became a one-way street. The one-way system was announced at the start of this month, but only came into force yesterday, causing traffic to back up for more than a kilometre along Souphanouvong Avenue during the morning rush hour. Traffic on Chao Fangum road is to be restricted to one direction only and trials will take place during August and September. The changeover to one way is part of traffic management measures to reduce congestion on the roads in Vientiane, especially during rush hours. The traffic system in Vientiane will be improved in a bid to reduce the worsening traffic congestion in the city. The project includes the installation of traffic signs and water tanks, the proper management of traffic directions and improvement of traffic lights according to the increasing number of current vehicles. The roads in Vientiane that will be improved are Lane Xang Avenue, Kaysone Phomvihane Road (Peace Gong of Victory Gate – Dong Dok), Phontong Road, (Victory Gate-Dong Dok), 23 August Road, Nong Bone, ASEAN Road, ……. Laos and the Philippines are keen to introduce electric vehicles and make EV production their key industry in the future, a development that may benefit auto-makers from Japan. In Laos, which has abundant hydroelectric power, electricity charges are half of those in Thailand. The Laos government is implementing a project to convert 40 per cent of the nation’s motorcycles, tricycles and four-wheel vehicles into EVs by 2020 with the …. Heritage officials have expressed concern over the number of French colonial buildings that have disappeared from the capital due to urbanisation in recent years. There are growing concerns that much of the colonial architecture in Vientiane, which is part of the national heritage of Laos, is being demolished without permission in order to develop the land, particularly in the city. Heavy vehicle crossings on the Namthone Bridge on the No.13 South Road have been temporarily suspended after heavy rains caused landslides and flash flooding in Borikhamxay province over the weekend. Floodwaters created difficulties for those who use the No.13 South Road, one of the country’s main economic corridors, forcing commuters to take another route. Many areas along the road in Borikhamxay experienced heavy rain, particularly the Km 20 junction road, where flood levels reached about 1.2m, cutting off transport and affecting …..
Not so long ago, references to economic development in Laos typically mentioned the disadvantages of being a country that is landlocked. Wedged between dynamic, export-driven nations blessed with coastlines and harbours, Laos was viewed as fated to grow less rapidly than its neighbours. But the map is changing now as the economies of Southeast Asia gear up to integrate, and as China pushes hard to develop road and rail links into the region to accelerate trade. Laos now finds itself as the pivot point between Asean’s 600 million people, with $2 trillion in GDP, and China’s …..
A Vientiane bus company is struggling with the use of battery-powered minibuses, with batteries taking too long to charge and not providing enough power to run the company’s fleet. Half of the fleet is currently out of service because of faulty batteries, and even the working buses need their batteries replaced. There is no domestic supplier who could provide the batteries, making it difficult to find replacements for the faulty items. A feasibility study on low-emission transport conducted under sponsorship from the Japanese government suggested Laos was an ideal country to utilise electric vehicles (EVs), as it produces clean electricity from ….. . The interest rates on car loans in Laos have dropped as people are being urged to buy cheaper vehicles in future. The decision by the commercial banks and financial institutes in Laos to lower car loan interest was taken in the light of the increasing number of leasing firms in the country. At present the major leasing firms are BCEL, Indochina Bank, Lao-Viet Bank and Thanasup. There are more than 31 commercial banks in Laos, most of which are foreign branches, who have decided to invest in the country after exploring the business opportunities thanks to the strong economic growth of more than eight percent over the past two years. Observers said that car loan interest rates and the price of vehicles in Laos would continue to drop. At present, some of the car dealers offer customers one year’s free interest as part of efforts to boost their sales. The price of the Vigo, one of the popular Japanese brand name cars, has dropped from US$40,000 to …..
A Twin Otter aircraft owned by Lao Air (not to be confused with Lao Airlines -Laos’ national carrier) crashed shortly after takeoff from Nathong Airport in Huaphan province on Wednesday after failing to clear the end of the runway at the short rural airstrip. The accident happened at 2:35 pm when the aircraft attempted to take off en route for Vientiane. Witnesses said it appeared that the 19-seat plane clipped the top of some trees before crashing into a canal about 200 metres from the end of the runway. Fortunately, no one was killed in the accident, but five people sustained …..
Toyota established a new vehicle interior components production company, TOYOTA BOSHOKU LAO CO., LTD. in the Savannakhet Province in April. This is the first time the Toyota Boshoku group has built a production base in Laos. Officials have quashed rumours that driving licences are being issued for sale by officials in the Vientiane Vehicle and Driving Management Division (VVDMD) – the body in charge of issuing licences in the capital. The statement comes following public allegations that licences could be bought and sold on the black market, and were made by officials involved in the regular issuing process. A new highway linking Vientiane city centre through the That Luang marsh to the 450 Year Road is now accessible as a dirt road, which will later be sealed. The new highway links Donnokkhoum village in Sisattanak district to Donkoi village, cutting through the That Luang marsh to Xiengda village in Xaysettha district and the 450 Year Road, over a distance of 9.5 kilometres. The whole project is expected to be finished in 2015….. Visitors to Vientiane will now be able to enjoy sky high views of the city following the launch of a new helicopter service by Lao Air. Visiting Laos was on my list for long, and I booked a tour through Laos with a local tour provider. BUT riding a balloon has always been my dream! And here in Laos, this dream unexpectedly came true one early morning in the mist of the sunrise over Vang Vieng in Laos. The day before I have already heard about the Lao hot air ballooning and together with my friends we found great interest. Screw it, let’s do it was the slogan! So, we booked, paid and were just waiting for the morning to come….. Seven people are now confirmed dead from a bus crash in Luang Prabang after officials reported a 23 year old man died in hospital several hours after the accident on November 22. Laos is to have its first high-speed rail link after a contract was signed yesterday to lay tracks between Savannakhet province and the Vietnam border. It is estimated that the US$5 billion project, to be financed by a Malaysian company, will be completed in five years, at which point Savannakhet will have a direct rail link to Lao Bao on the Laos-Vietnam border. The project will form part of a planned railway that will eventually link most of Southeast Asia. When the entire planned rail link is completed, it will provide a non-stop connection to Singapore, through Thailand and Malaysia, into Kunming province, China, and through Vietnam. At the moment, public transport on this route is ….. The Lao government will proceed with the construction of a US$7 billion Laos-China high-speed railway even though China has withdrawn from the joint venture. Laos has now decided to assume sole ownership of the project, as it considers that transforming the country from being landlocked to a land link is central to the future of the nation’s development. The railway is now set to go ahead without any other direct stakeholders, but will be financed by a loan from China. The ground-breaking ceremony is expected to take place during the 9th Asia-Europe Meeting Summit on November 5-6 when top ranking leaders from ….